Will the New York Giants' current offensive line hold up? That's a question that we won't know the answer to for at least another month, but we found out today that the team will roll with the same alignment as the one they exited spring practices with. With career journeyman Marshall Newhouse slotted to step in at right tackle, many fans are nervous about keeping quarterback Eli Manning on the active roster. In 2014, Newhouse struggled mightily. He allowed 16 quarterback pressures, hits and sacks in just 373 snaps. Before joining the Bengals, he struggled in pass protection as the starter with the Packers. That means from left to right, the line reads: Ereck Flowers, Justin Pugh, Weston Richburg, Geoff Schwartz, Marshall Newhouse. As you can see, Pugh is set to make his debut at guard after spending the first two seasons of his career at right tackle. The Giants' backup plan if Newhouse falters will be to look elsewhere. This means that former fourth-round pick Brandon Mosley will have a real opportunity to compete with Newhouse for the starting right tackle spot. If both players struggle, the Giants could make a move for free agent offensive tackle Jake Long. The Giants brought Long in for a second visit on Wednesday, but the veteran left without a contract. When the Giants draft Pugh, many expected that he would slot in at offensive guard. Injuries forced Pugh to man the right tackle spot, but the Giants feel like he is a better fit at guard in Ben McAdoo's offense. Until we see him in live game action, we can't argue with that. 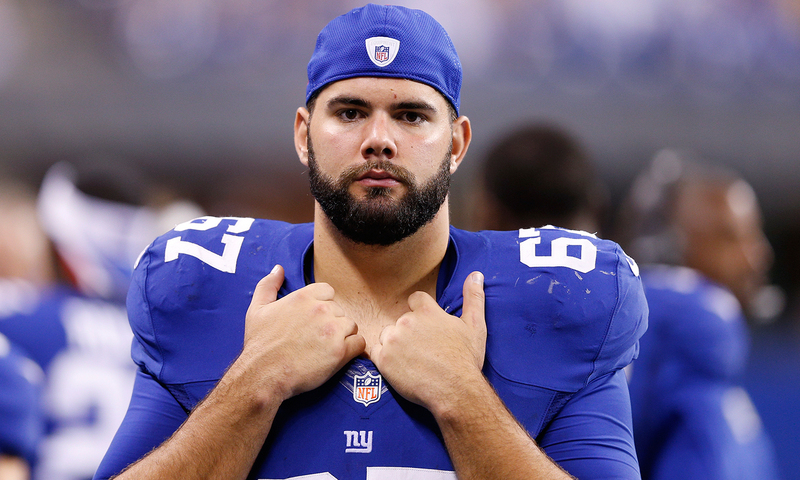 OL Justin Pugh on his position: "Still a guard."